Life is getting busier which is why every minute counts. Many people spend their free time working out both to maintain a healthy lifestyle and to avoid the issues associated with living a sedentary life. To maximize performance, a waterproof fitness smartwatch can be of assistance. A fitness smartwatch can monitor your health condition and performance status, as well as track your daily workout sessions to ensure you’re reaching your daily targets. They can be connected to your smartphone for an in-depth view of how your performance is going. Lastly, they’re waterproof so you can take them for a swim and still monitor your laps, strokes, and calories burned. Here are the best waterproof fitness smartwatches you can use during workouts. The Spark 3 has a GPS tracking function, a heart rate monitor, a sleep tracker, a calorie tracker, a cadence sensor, a compass, a motion sensor, a vibration function, multisport modes, and route exploration features. You can connect it wirelessly to your phone for music playing and for studying the stats of your last activity. The Gear Fit 2 has a 1.5in full-color AMOLED display, a 512MB RAM, a 4GB storage space, and a 1GHz dual-core processor. It’s equipped with a GPS sensor, a heart rate monitor, a barometer, a gyroscope, and an accelerometer. It features an activity tracking function which automatically detects whether you’re cycling, running, walking, or burning calories on an elliptical trainer. 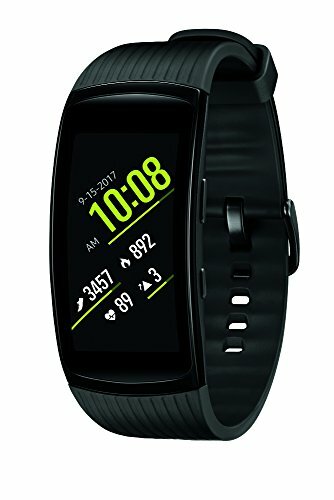 Gear Fit2 works best when connected with compatible iOS or Android smartphones. The 40mm Steel HR is a hybrid smartwatch made of 316L stainless steel. 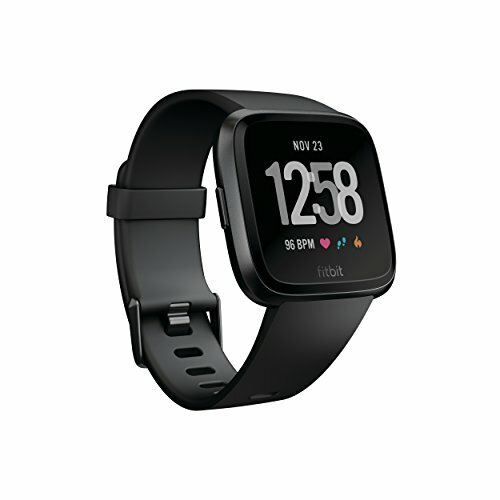 It has a silicone band, a heart rate monitor, a sleep tracking sensor, Bluetooth connectivity, and smartphone notifications. It automatically tracks running, swimming, walking, and more than 30 other activities without having to tinker with it. 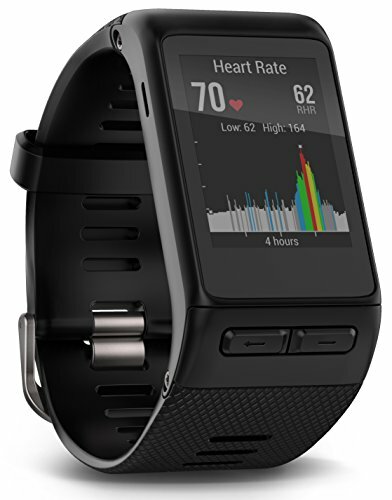 The 34mm Versa has a touchscreen colored display, an aluminum case, a polyester band, an altimeter, a 3-axis accelerometer, a vibration motor, a Wi-Fi antenna, a 3-axis gyroscope, a heart rate monitor, an ambient light sensor, a SpO2 sensor, Bluetooth connectivity, and an NFC-enabled function. It features a variety of apps for fitness, travel, and sports. You can access 15+ exercise modes and an on-screen workout guide to help you on your workout goals. You can also store and play up to 300 songs on the smartwatch without linking it to your phone. 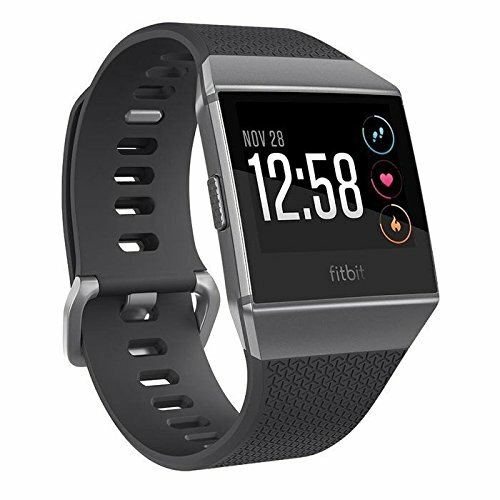 Fitbit Ionic has a case made of aerospace-grade aluminum, a 1000-Nit, high-resolution touchscreen display protected by Gorilla Glass 3 screen, an integrated GPS/GLONASS antenna, a heart rate monitor, and a sleep tracking function. You can store up to 300 songs in it, track activities like swimming, running, and cycling, receive phone notifications, calls, texts, and calendar alerts, and access the on-screen coaching feature to guide you in achieving personal workout goals. 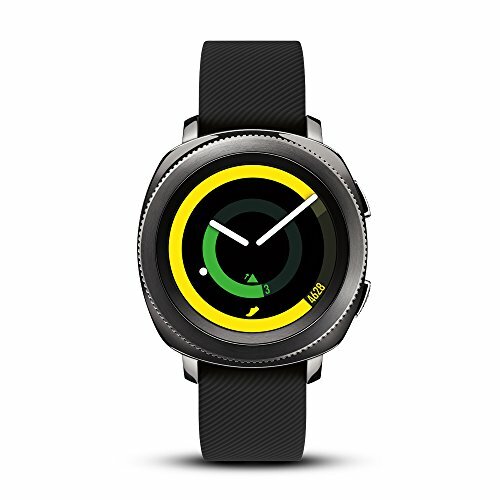 The Vivoactive HR features a sunlight-visible, colored touchscreen display, a polymer case, a strengthened glass lens, a silicone strap, a GPS/GLONASS sensor, a heart rate monitor, a barometric altimeter, a compass, an accelerometer, a thermometer, a sleep tracking feature, and an ambient light sensor. It’s very capable of tracking different sports activities including running, rowing, skiing, swimming, and even golf. For its price point and functionality, this is simply one of the best waterproof smartwatches in the market. The Watch 2 has a stainless steel case, a 2-layer strap, a ceramic bezel, an AMOLED display, and a 1.1GHz Qualcomm MSM8909W processor. 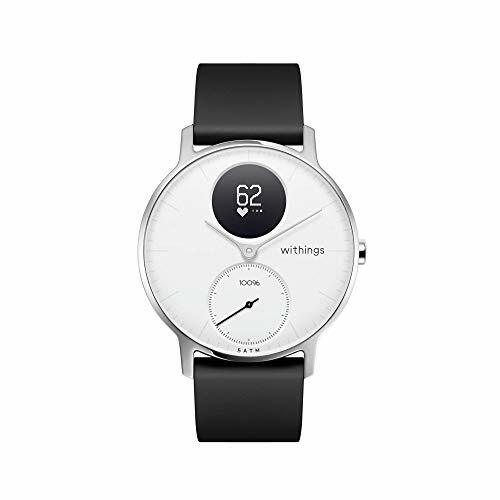 It has a GPS/GLONASS and heart rate sensors, a barometric altimeter, a BMI calculator, an accelerometer, a sleep tracking feature, an offline music player, a smart coaching feature, and a smart assistant for receiving calls and texts. It supports SIM and eSIM cards, Bluetooth and Wi-Fi connectivity, and NFC payment function. It can be connected to either an Android or iOS smartphone. The 43mm Gear Sport has a full-color AMOLED display protected with Gorilla Glass 3, a 768MB RAM, a 4GB storage space, and a dual-core processor. 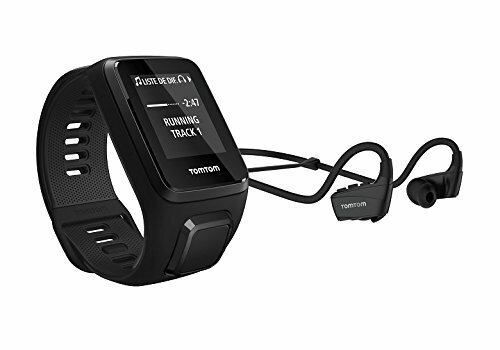 It has accelerometer, gyroscope, barometer, ambient light, sleep tracking, and heart rate sensors, as well as GPS/GLONASS, Bluetooth, and Wi-Fi connectivity. It’s also compatible with NFC-based payment systems. It’s most distinguishable feature is it allows offline listening to Spotify. The Gear Sport has a smart coaching feature which can provide timely suggestions on when to get active. Also, connecting it to your smartphone allows you to track over 60 workouts. The 43mm Vivoactive 3 Music has a polymer case, a silicone strap, and a sunlight-visible display with Gorilla® Glass 3. 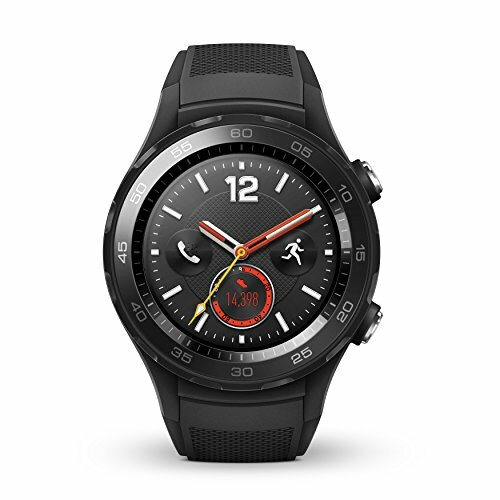 It’s equipped with GPS/GLONASS sensors, a heart rate monitor, a sleep tracking function, a gyroscope, a barometric altimeter, a thermometer, a compass, an accelerometer, a VO2 max sensor, NFC capability, and Wi-Fi, ANT+, and Bluetooth connectivity. It’s preloaded with 15 sports apps you can use to track running, swimming, biking, and even yoga activities. Its capability to store up to 500 songs makes this different from the standard Vivoactive 3. The M600 is equipped with a TFT display protected with Gorilla Glass 3, a 512MB of RAM, 4GB of storage space, and a 1.2GHz dual-core processor. 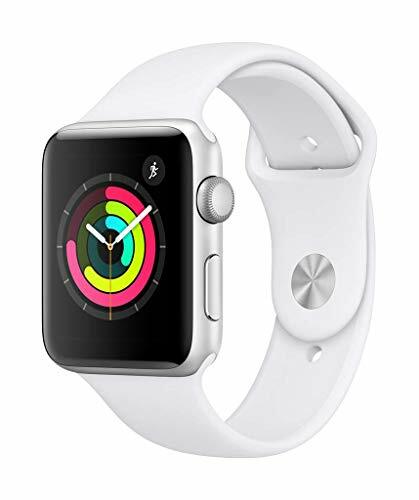 It has a GPS/GLONASS sensor, a heart rate sensor, an accelerometer, a gyroscope, a haptic vibration function, an ambient light sensor, a microphone, and a component for connecting via Bluetooth or Wi-Fi. It can tell you the weather, display maps, and receive notifications from your phone. The M600 has a smart coaching feature which you can use as personalized training guidance for attaining your fitness goals. The 38mm Apple Watch Series 3 has a 1000-Nit digital display, an aluminum case, an Ion-x glass, and a dual-core processor. It features a GPS/GLONASS sensor, a barometer, an altimeter, a gyroscope, a heart sensor, an accelerometer, and Bluetooth and Wi-Fi connectivity. It’s one of the best waterproof smartwatches out there because it has an app that can monitor a lot of useful metrics during swimming. 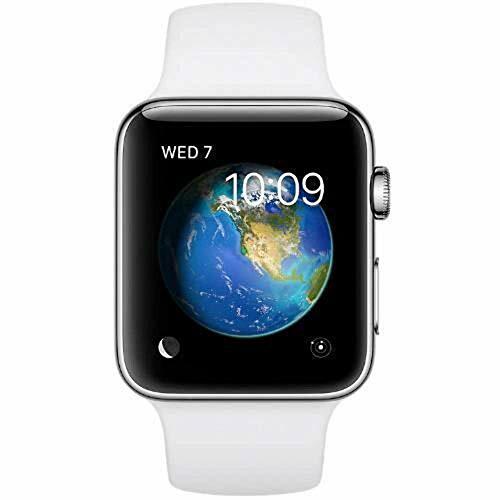 The 42mm Series 2 has a digital crown, an OLED Retina display covered with an Ion-X Glass, a ceramic case, and an S2 dual-core processor. The smartwatch features a built-in GPS system, a heart rate sensor, a gyroscope, an accelerometer, a speaker, and a microphone. It works best when connected with your iPhone. 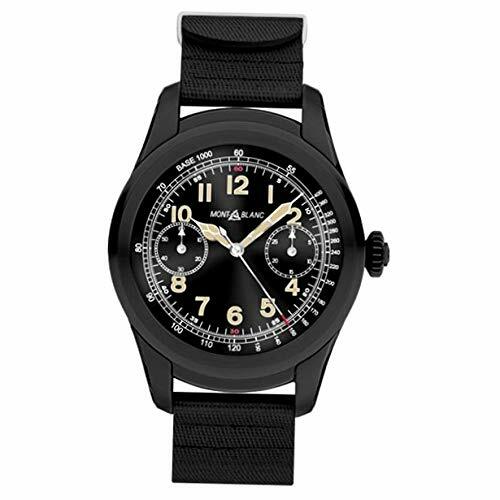 The 50mm Mission has a stainless steel case and bezel, a Gorilla glass window, a rubber strap, an ambient light sensor, a digital LCD, and a 512MB RAM. It’s equipped with a GPS sensor, a thermometer, an e-compass, a gyroscope, an altimeter, a barometer, and a heart rate sensor. You can access Google Fit, Google Play Music, and Google Maps applications by connecting it to your smartphone via Bluetooth. The 61mm Pro Trek WSD-F20 has a resin case, band, and bezel, a mineral crystal, and a quartz movement. 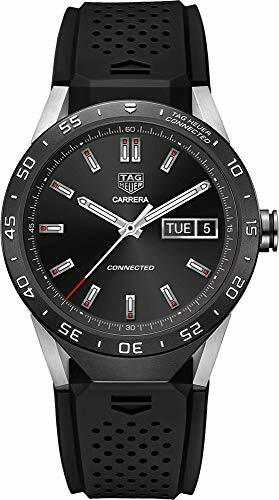 It has a full-color digital display where you can access a map, an activity tracker, a compass, an altimeter, a barometer, a mic, and different design moods. It has different sports modes for cycling, trekking, and running. It can be connected to your smartphone for expanded features. The 51mm Fenix 5X has a stainless steel case, bezel, and buttons, a silicone band, a high-resolution, full-color display with backlight feature, and an option to get either a sapphire or mineral glass. It is equipped with a GPS/GLONASS mapping feature that helps generate routable cycling maps. 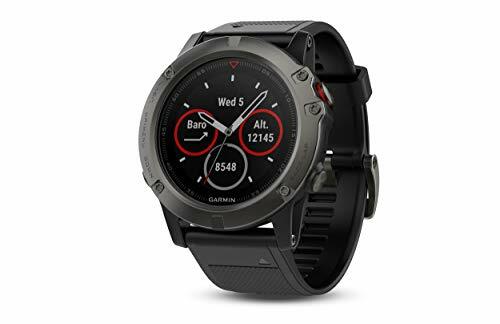 The Fenix 5X also has a 3-axis compass, a barometric altimeter, a gyroscope, a heart rate sensor, and Bluetooth and Wi-Fi connectivity. The watch features advanced sensors for monitoring your VO2 max levels, cadence, stride length, and lactate threshold. 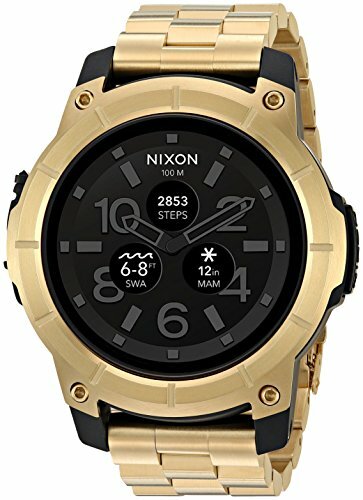 The 46mm Summit is a luxury smartwatch that has a stainless steel case, a leather strap, a scratch-resistant sapphire crystal, a full digital touchscreen display, a 512MB RAM, a 4GB storage space, and a Qualcomm Snapdragon 2100 processor. 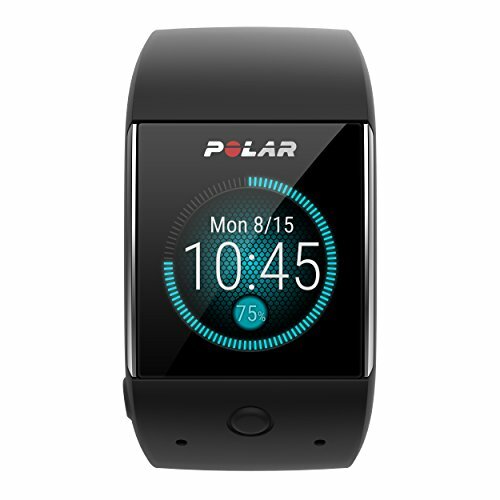 It has a heart rate monitor, an altimeter, and a bunch of fitness tracking sensors to monitor your workout activities. The 45mm Connected Modular 45 has a ceramic bezel, a rubber strap, a polished titanium case, a sapphire crystal, and an AMOLED screen. It’s powered by 512MB of RAM, 4 GB of storage, and an Intel® Atom® processor. It has GPS, accelerometer, haptics, and tilt detection sensors. It has a pre-installed Google Fit app and other built-in apps meant to record activities like running, walking, biking, sit-ups, squats, and a whole lot more exercises. 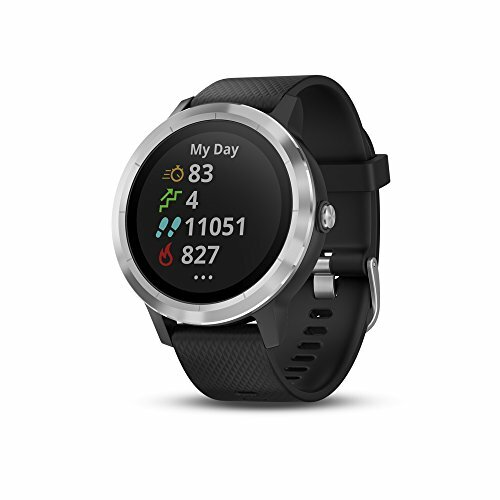 Nowadays, a waterproof fitness smartwatch is a vital accessory not only for those who exercise regularly but also for those who want to get motivated to move and take a step toward a healthy lifestyle. These watches have sensors that can help you monitor your vital status and measure daily activities to ensure you achieve your fitness goals. We’ve listed the best waterproof smartwatches in the market that can help you in your daily workout needs. In picking which one to purchase, make sure to choose the one that suits your lifestyle and has the functions you need to efficiently monitor your workout performance.